It was a grey and rainy day. Yes, it was. We didn’t need to go anywhere and so we stayed in. 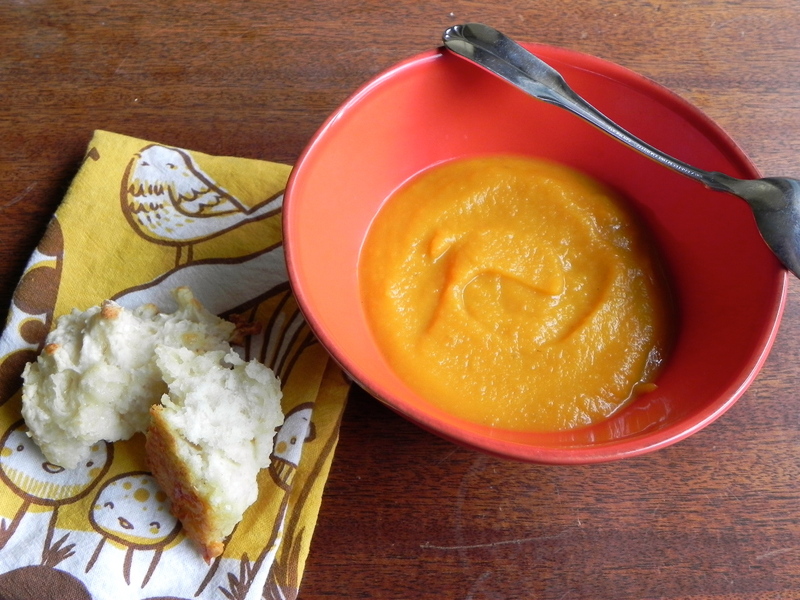 I made this lovely soup (and cheese biscuits) for lunch. And took some photos as I went, to share here. 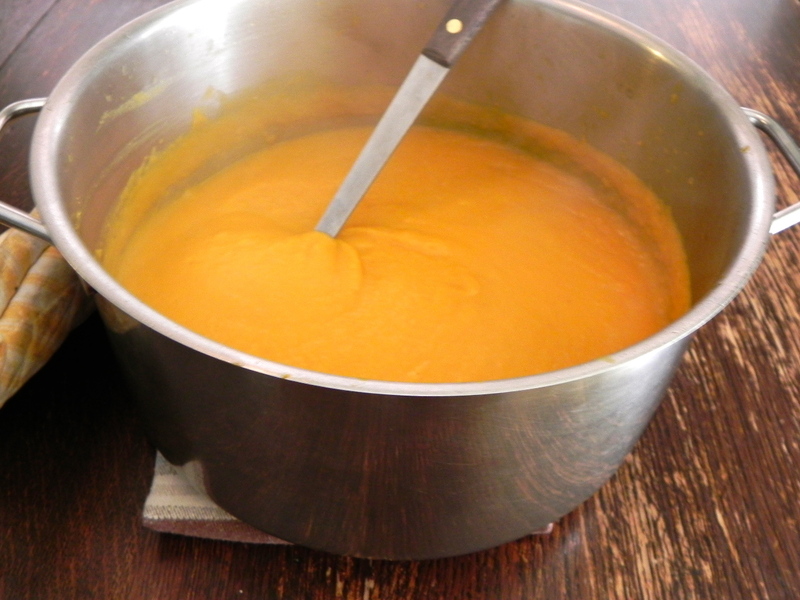 Peel 1lb carrots; peel & seed 2 lb butternut squash. Meanwhile chop one onion and brown it in a glug of oil (olive or vegetable) with a pinch of salt. Turn off the heat and add 1/2 a medium-sized apple, sliced. 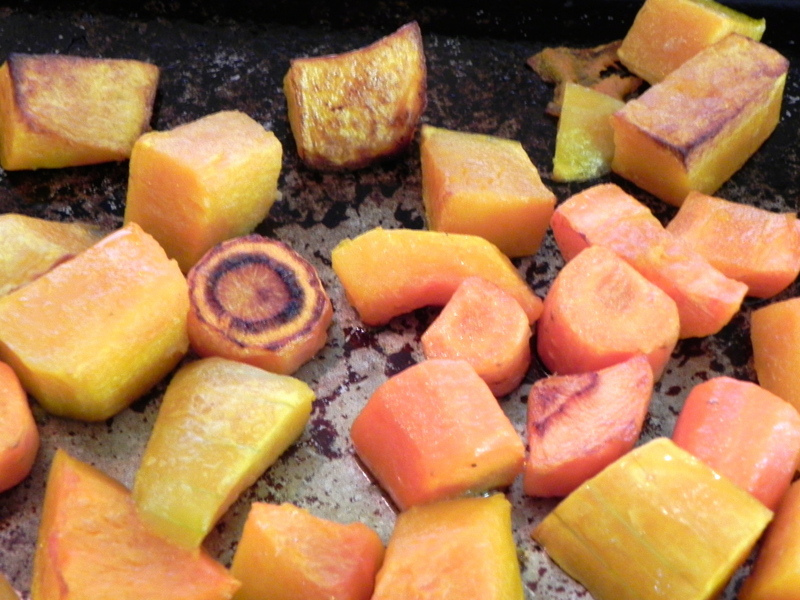 When the carrots & squash come out of the oven add them to the pot with the onion and apple. Pour 4 cups water over the vegetables and bring to a boil. Simmer, covered, 10 minutes or until everything is very soft. Remove from heat and puree. Previous what’s easier than meringue?